With this new updated Whatsapp feature, one can not hide anymore because Whatsapp knows your location. This new feature is called Whatsapp live location and it allows you to share your current location with your friends and groups while chatting with them. It just the same feature as the one Google Maps, Facebook messenger, Snapchat and many more uses. I recalled lately July this year when it was rumored that Whatsapp will feature live location and fortunately here it is. You can now let people know where you are for instance - You can use this new feature to hook up with your Whatsapp lovers you haven't see before. I will also call this feature “Life saver” because when you are lost when you travelled to a country or city that you are not familiar with and your people get to be looking for you, you can easily share your current live location and they will be able to find you just as your Uber driver is able to locate you and vice versa. As we known that this feature was just announced and it could take few days before reaching globally. Always visit your Playstore for Android users and iTunes for iOS users and keeping looking for new Whatsapp update (latest version). Once there is a new update, click on “update” to get it and once Whatsapp live location is available on the app, to share with your friends and groups follow below steps. ➡ Open a Chat with the person you want to share with. ➡ Choose for how long you want to share and tap send. You have successfully shared your real-time location on a map with your friend(s). ➡ Whatsapp live location sharing works for groups as well, follow the above steps to share with group(s) you are chatting with and everyone in that group will see your location same way. If many people shared their locations it will be visible on the same map. ➡ If you don't want your location to be tracked by Whatsapp, you can simply turn off location services from your phone settings. ➡ You can also choose to stop sharing at any time or let the live location timer simply expire. ➡ As of now, Whatsapp live location is only available for Android phones and iPhones. ➡ The most important thing here is that Whatsapp live location has end-to-end encrypted feature which means you can choose who you share with and for how long. 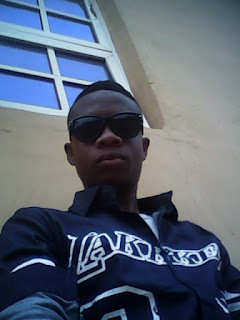 Sunday swart is Nigerian blogger, Technology writer, Web and graphic designer currently studying computer science. He love to put down his little Tech experience in this little blog. We love comments as much as we loved sharing. We hate spam comments and unnecessary links in comment will result in comment not been moderate. Tick NOTIFY ME to follow the post.